This home underwent quite the transformation, modifying the ground floor to provide a greatly improved layout, and turning the four bedroom home into a six. The list goes on, so don’t stop reading here! 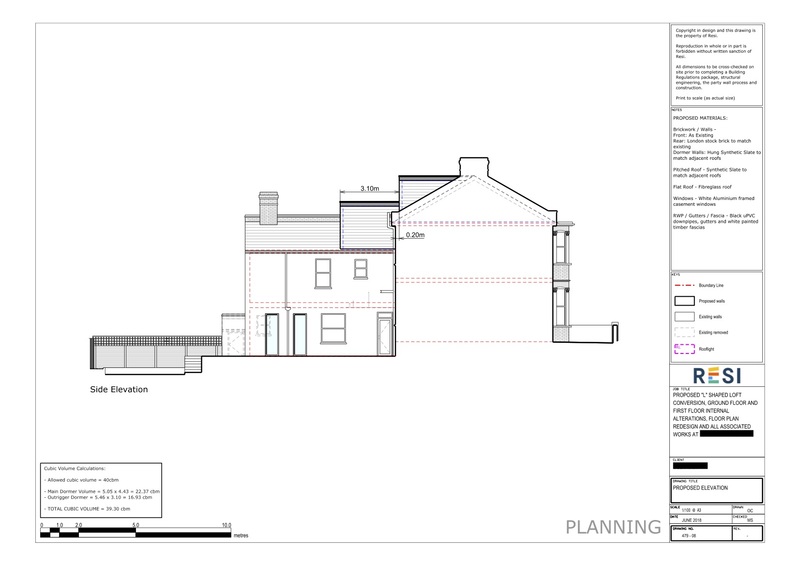 This project was carried out under a Lawful Development Certificate (meaning the homeowner was operating under their permitted development rights), which was granted on 3rd August 2018. 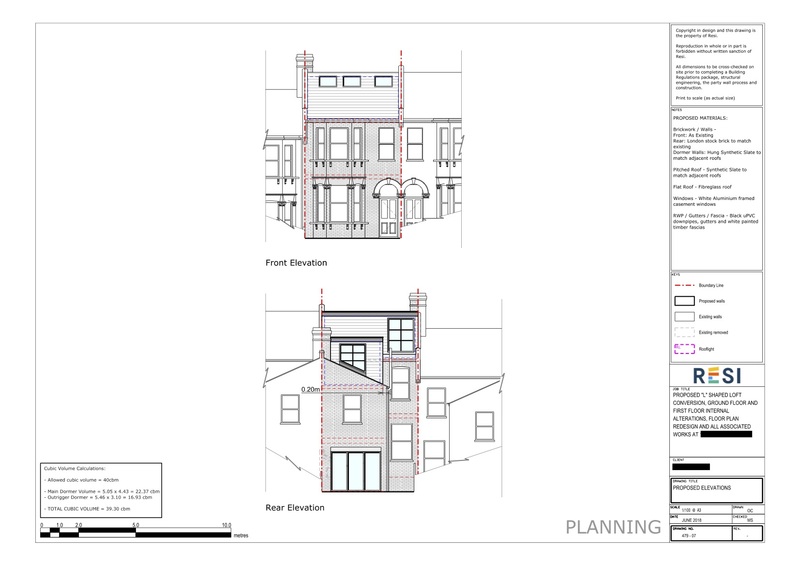 Our client was looking to undergo ground and first floor internal alterations on their home, with an L-shaped loft conversion. They were looking to use the new space in the loft for a master bedroom with an ensuite, plus a smaller bedroom (or perhaps study space). For the first floor, the bathroom needed to be reconfigured to effectively make use of the space. Finally, for the ground floor, they wanted to reconfigure the kitchen to a more logical layout, with the addition of bifold doors out towards the rear. For the style, our client was looking to go with modern finishes with fixtures that were sympathetic to the pre-existing Victorian features. 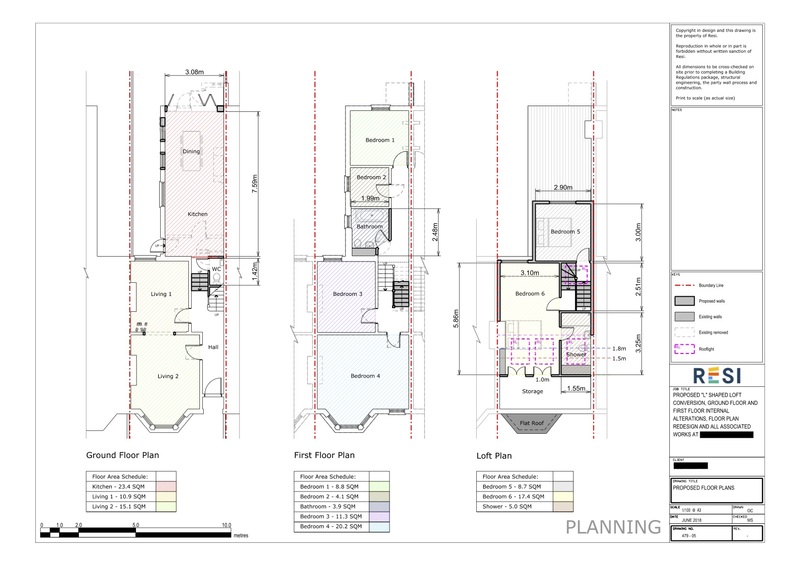 I designed a ground floor plan that was a much more logical layout, one where the dining room and kitchen remained open plan, but with the dining room to the rear of the property. Bifold doors would look out onto the garden, as requested, with a small WC under the stairs. Simple reconfigurations were made to the first floor, with the bathroom wall straightened out to better make use of space. The most significant changes were made to the loft, with the empty space being transformed into a fifth and sixth bedroom. The master bedroom had an ensuite, and large storage space attached. The loft was lucky enough to fit four skylights, one above the stairs, one in the ensuite, and two in the master bedroom. For the exterior of the house, I tried to match the materials as closely as possible to the existing - London stock bricks for the rear, and hung synthetic slate for the dormer roof.